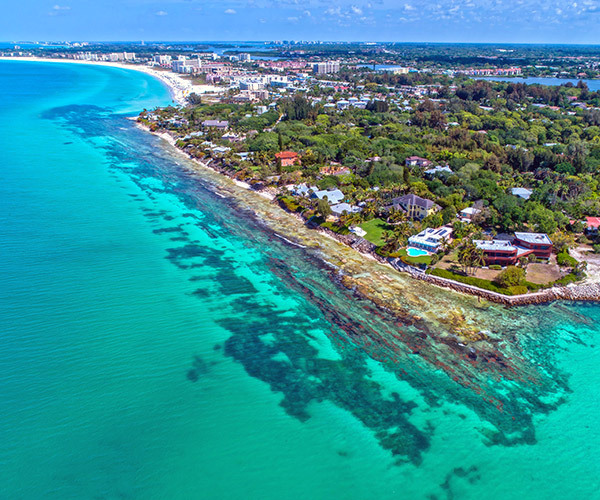 Siesta Key is an 8 mile long, crescent-shaped barrier island easily accessible by one of 2 bridges connecting it to the Mainland of Sarasota. Siesta Key has 4 main areas, Siesta Beach, Crescent Beach, Turtle Beach and Siesta Key Village, each with their own, unique character and charm. The other shopping and dining district is located just south of where Stickney Point Road becomes Midnight Pass Road in the Crescent Beach area. In addition to the many boutique shops, restaurants, and other area businesses, you will find a full service grocery store here.